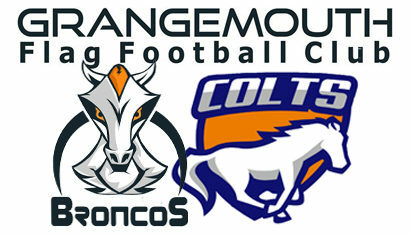 Kevin joined the Broncos Cadet team in 2005. He played Junior Flag in 2008, but then was lured away by athletics. 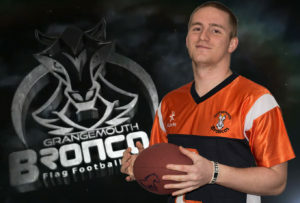 Kevin returned to Flag in 2012 when he joined the Broncos Senior team. Since then he has been one of the more consistent players, quickly rising to second place in the Seniors Points scored rankings. 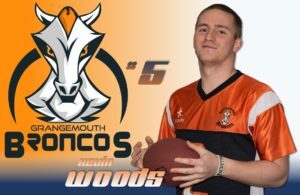 Only injury prevented Kevin playing in his 4th GB tournament last season, but he was a key part of the Chieftains squad who won a second consecutive Super 5’s title. In 2017 Kevin was featured in the HNC Offensive player of the year rankings at number 8. 2007 Scottish Cadet League Runners-Up. Winners of the 2007 SFFA West / Central Cadet Conference. 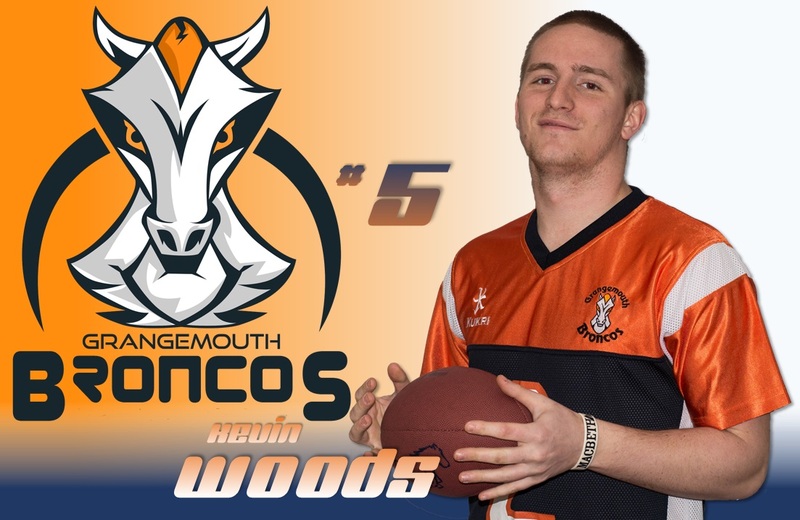 Kevin scored a 2pt Conversion. 3rd in the 2006 SFFA West/Central Cadet Conference. Winner of 2005 SFFA North/East Conference Cadet League.